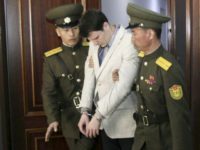 President Donald Trump attempted to clarify his remarks regarding Kim Jong-Un’s culpability in the death of Otto Warmbier after saying this week that he believes the North Korean dictator was unaware of the American student’s treatment while imprisoned. 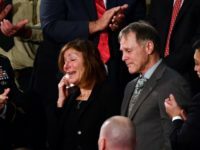 The parents of Otto Warmbier, whose son died in 2017 after he was returned from a North Korean prison, slammed Kim Jong Un and his “evil regime” after President Donald Trump said the North Korean dictator claimed he was unaware of Otto’s treatment while imprisoned. According to a South Korean media report on Tuesday, North Korea has not only rejected a U.S. court ruling in the death of Otto Warmbier, but it also refused to take delivery of the paperwork sent to Pyongyang using the DHL courier service. 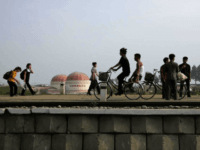 According to a tour group based in Beijing, North Korea has decided to hold its “Mass Games” event for the first time in five years. 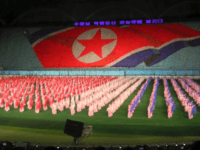 The North Korean government has never explained why the games were halted in 2013 after a big show to commemorate the Korean War armistice, or why they are being relaunched now, but the obvious inference is that Pyongyang wishes to appear more open to the West and welcoming to tourists as diplomacy with the United States unfolds. The parents of Otto Warmbier, an American hostage who was killed by the regime in North Korea, are moving ahead with a lawsuit against the regime, according to a report from The Washington Post on Friday. 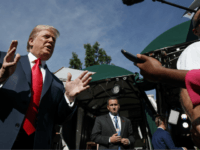 A confident President Trump spent a large part of Friday morning blasting the establishment media during a series of impromptu interviews outside the White House. 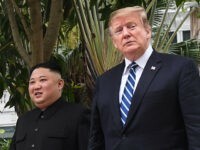 President Donald Trump said Tuesday that the death of American hostage Otto Warmbier led to the summit with Kim Jong-un taking place. The family of student Otto Warmbier, who was held prisoner by North Korea for a year and a half before he was returned to his family in a vegetative state and died soon afterward, filed a wrongful death lawsuit against the North Korean government on Thursday. 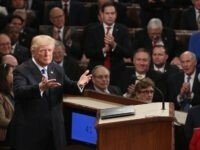 President Donald Trump used his first State of the Union address on Tuesday evening to celebrate the country’s economic progress, to tout his administration’s achievements, and to call the nation to unite. 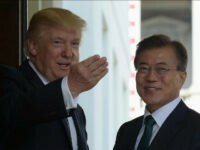 President Donald Trump revealed his intentions to declare North Korea as a state sponsor of terror. 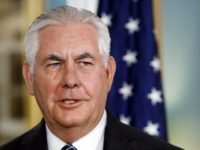 A bipartisan group of senators are asking the State Department to designate North Korea as a state sponsor of terrorism. 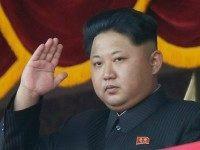 North Korea, through its media outlet the Korean Central News Agency (KCNA), denied on Thursday that it tortured late American Otto Warmbier during his time in prison, dismissing Warmbier as a “criminal” and American President Donald Trump as an “old lunatic” for accusing Pyongyang of torturing and killing him. 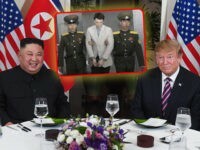 Fred and Cindy Warmbier, the parents of American student Otto Warmbier, gave an interview to Fox and Friends on Tuesday in which they called the North Korean government “terrorists” for abducting, torturing, and ultimately murdering their son. The North Korean government has launched a new, multilingual tourism website to attract foreign revenue, highlighting its lavish holidays to honor late dictator Kim Il-Sung and its natural wonders, from the eastern beaches to its volcano, Mount Paektu. 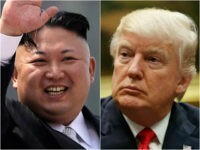 President Donald Trump blasted North Korea on Friday saying the “era of strategic patience” with the regime is over during a joint statement with his South Korean counterpart. 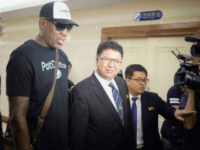 On Friday, former basketball star Dennis Rodman gave an interview in which he implied his trip to North Korea played a part in securing the release of American hostage Otto Warmbier, despite statements to the contrary from the U.S. government and the Warmbier family. On Friday’s Breitbart News Daily, former U.N. ambassador John Bolton talked about the death of American student Otto Warmbier, recently released from more than a year of captivity in North Korea, most of which he spent in a coma. 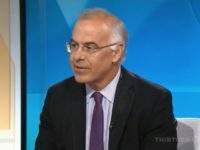 He also discussed what Warmbier’s death means for America’s North Korea policy moving forward. Bolton then looked at the one-year anniversary of the Brexit vote and U.S. policy toward the Israeli-Palestinian conflict. 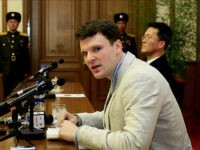 A professor at the University of Delaware has come under fire for arguing that Otto Warmbier, who passed away last week after being imprisoned by the North Korean government for over a year, deserved his fate because he was an affluent white male. The family of the now deceased University of Virginia student Otto Warmbier kept his Jewish faith a secret so officials could negotiate his release from North Korea, according to an official who negotiated the student’s release. 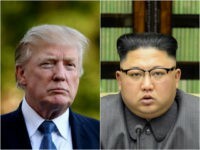 North Korea’s latest editorial broadside against the United States, delivered by state-run newspaper Rodong Sinmun, accuses President Donald Trump of seeking to start a war with the communist regime to distract from political problems at home. 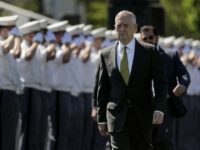 Defense Secretary James Mattis said Wednesday he believed President Trump’s comment that American student Otto Warmbier, who died this week after being released from 18 months in detention in North Korea, should have been brought home much sooner, represented the American people’s view. 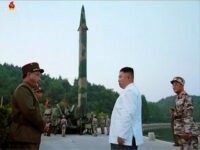 South Korea’s Yonhap news service reported on Wednesday that North Korea made a very tentative and conditional offer to discuss a ban on nuclear and ballistic missile testing. 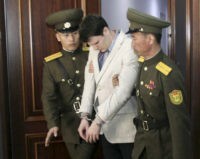 The U.S. State Department has called for North Korea to release three American citizens — who were taken hostage by the communist government on various charges of espionage and threatening the repressive Kim regime — the same week American Otto Warmbier, 22, was pronounced dead shortly after being freed after a year in captivity in Pyongyang. The sorrowful reaction to Otto Warmbier’s death on Monday was not universal. 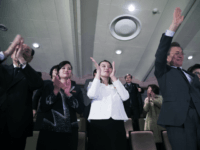 Many from across the political spectrum, including the president, voiced their support for Warmbier and his family throughout his ordeal at the hands of North Korea. 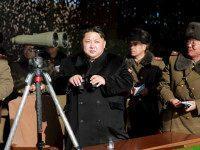 However, a small, yet vocal, cohort on the left were amused at the American’s misfortune. 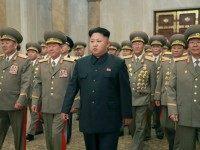 In some cases, they defended North Korea for punishing Warmbier. 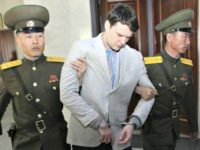 A general narrative condemning white male privilege emerged from those in the far-left justifying Warmbier’s punishment for stealing a North Korean propaganda poster. 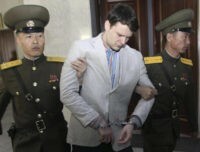 Americans are mourning the death of 22-year-old Otto Warmbier, a college student who was arrested and sentenced to 15 years of hard labor for allegedly stealing a poster in a hotel where he was staying.